What a great event to learn about each others research and programs through eating cake! 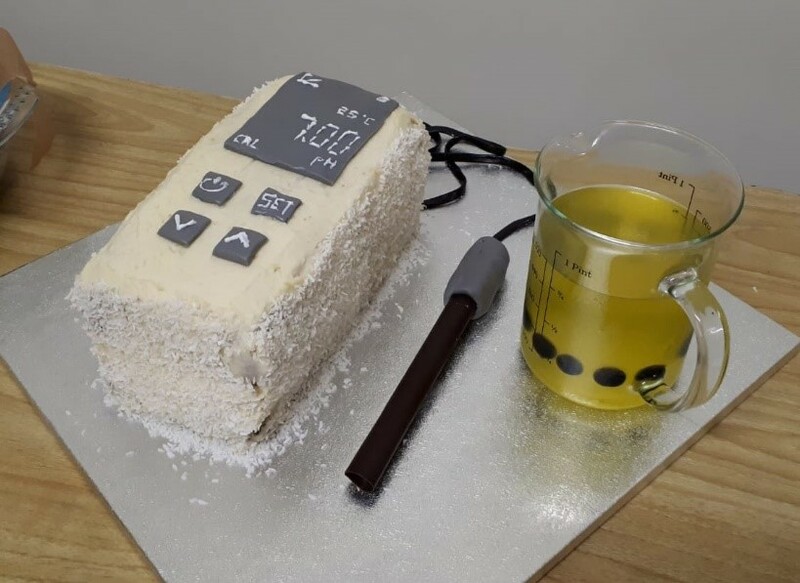 Each MSc course and PhD student in the Water program baked a cake that reflected and represented their studies or research. As a current student in the Water and Sanitation for Development program, a few of us got together for a full evening of brainstorming, baking and decorating. We turned up the music, rolled up our sleeves and got to work. 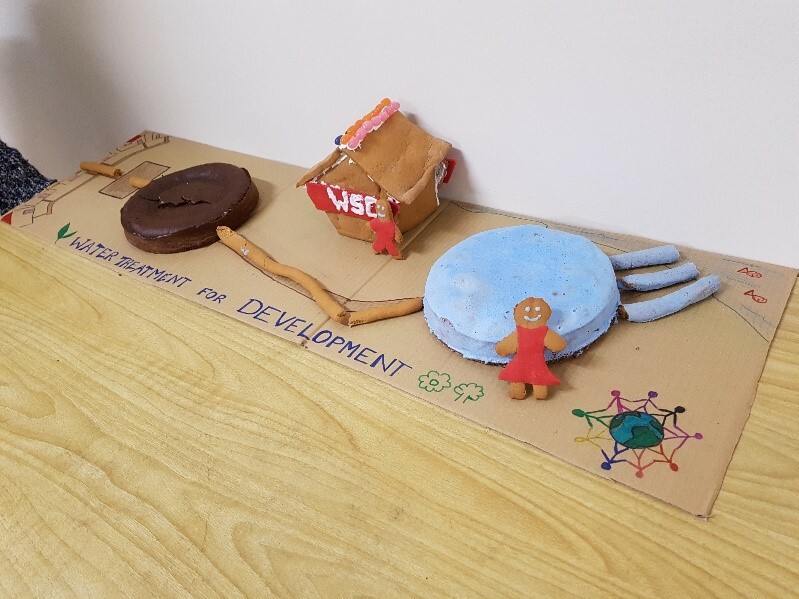 We represented our program by two wastewater treatment tanks – one made of chocolate (dirty wastewater) and one made of vanilla, dyed blue (treated wastewater), complete with a ginger bread utility house. It was a great team building exercise and a lot of fun! At the event, each cake representative gave a little explanation about how the cake represented their program/research, and then we all indulged in an evening of sugar. After filling out bellies with cake, we casted our votes for the best taste and the best design. It was truly a difficult decision to make due to all the outstanding bakers and innovative ideas! 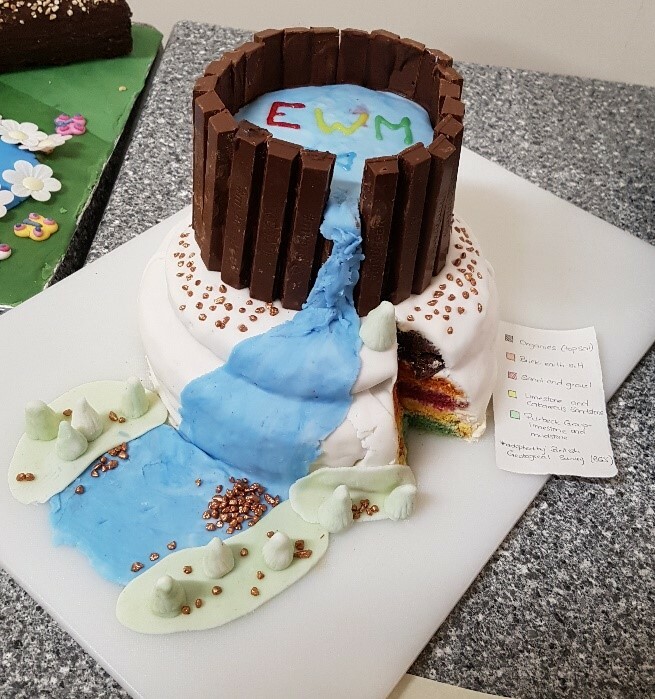 Congratulations to the Environmental Wastewater Management team, who represented their program with a reservoir sitting on different geological layers, for winning the best design and congratulations to the PhD student who represented her research with a pH meter for best taste!